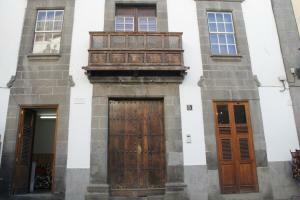 Address: Felipe Massieu 5, Las Palmas de Gran Canaria (Gran Canaria), Islas Canarias. Vegueta I simple apartments and studios come with a private bathroom with a shower, hairdryer and free toiletries. The seating areas include a sofa and the kitchens come with a microwave, coffee machine and washing machine. You can find many bars and restaurants in the surrounding streets. There is a market in front of the property every Sunday. Playa del Hombre Beach is a 20-minute drive away and Gran Canaria Airport is 20 km away. Please note that a refundable EUR 50 damage deposit must be paid on arrival.